Before I moved to Northern California, I did not know much about wine and I did not drink much wine. 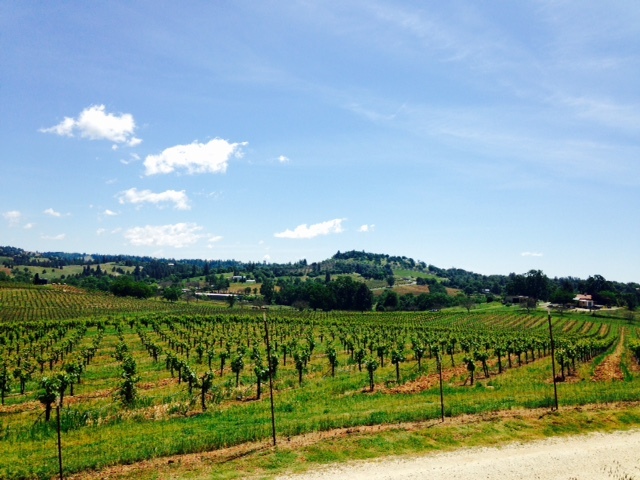 All that has changed since moving to an area that is surrounded by wineries. 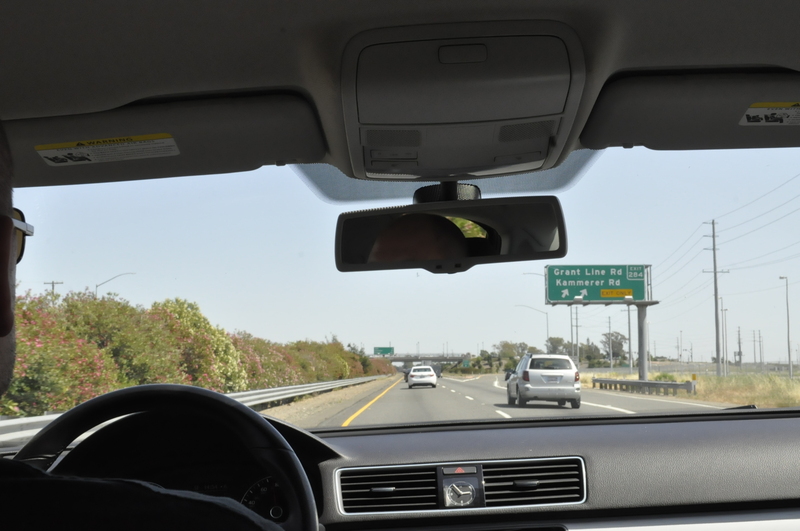 Sure, the famous Napa and Sonoma wine regions are nearby and I have visited plenty of times, but I have also been turned off by high tasting fees, traffic gridlocks on weekends, and too many people trying to find a spot in the tasting rooms. I might have never become an oenophile or visited a winery at least once a month had I not come across the much more relaxed and less pretentious Amador County wine region where plenty of wineries still do not ask for a tasting fee (there are exceptions and I avoid them on principle) and where you can still be served by the actual wine maker and not just a person who gets paid to pour wine. The Amador Vintners include 39 wineries (but more are added every season it seems), and I have visited 33 out of these and many of them more than once. So I feel that I am familiar enough with the region and its wine to create a best-of list. If you have not been to this region before, I highly recommend you visit and hopefully this list provides a good starting point. Best Red Wine: Jeff Runquist Wines hands down; I have never come across a red wine that I do not like at this winery, and even though it may sound like I drink pretty much anything based on the many winery visits, this is not the case; there are plenty of wines at other wineries that I do not like. 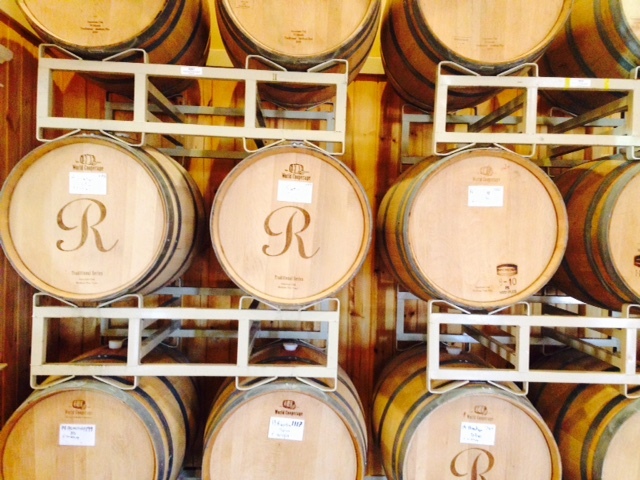 Runquist has also won its share of medals and awards to show that I am not the only one who likes its reds. 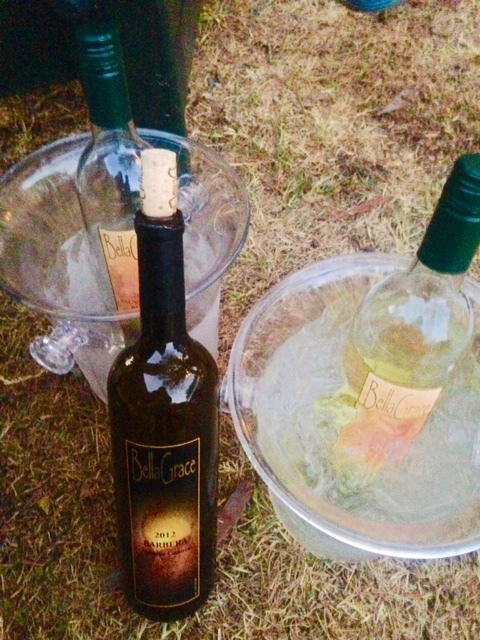 Best White Wine: Bella Grace Winery – Often white wine in the States and especially in hot regions is too sweet for me, but these whites are on the dry side. I even like the Chardonnay although I usually avoid American Chardonnay by all means, but this one is not “buttery” and that is a good trait in my book. Best Sparking Wine: This is a tie since once again the region is not perfect for sparkling wine and the sparkling wine produced is often too sweet. 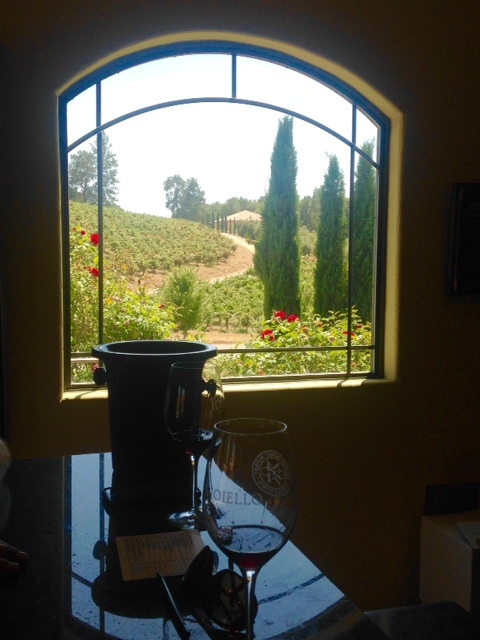 I like the sparkling wine at Bella Grace Winery and at Andis Wines (even though I avoid Andis because of the tasting fee – why pay for what you can have free at a place that is just as good if not better). Best Picnic Spot and Bocce Court at a Winery: Il Gioiello Winery is a little off the beaten path but has the nicest outdoor areas and bocce courts. 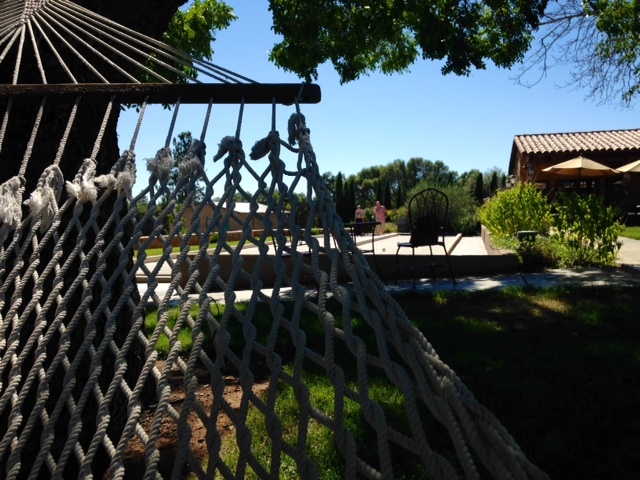 We often spend the whole afternoon here; bring a picnic, buy a bottle of wine, hang out in the hammock and/or start a bocce match. This is a relaxing spot with a fantastic view that reminds me of Tuscany. 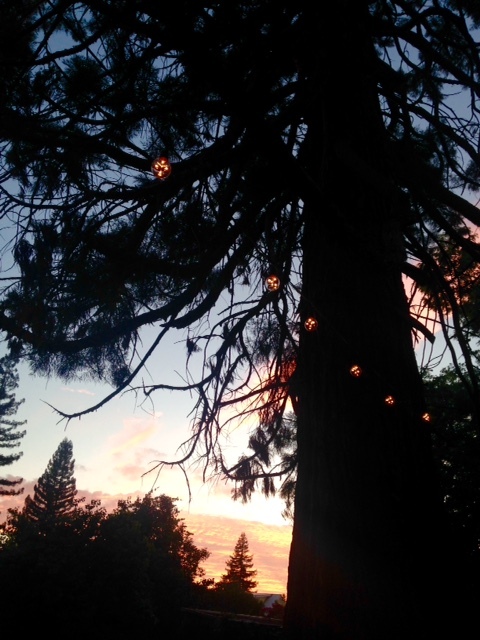 Best Supposedly Haunted Winery: Bella Grace Winery has two locations: a wine cave in the hills by Plymouth and a tasting room about 20 minutes away in an 1860-era house on main street in Sutter Creek. Supposedly, the house is haunted and some say they see the ghost in the bathroom, but I have never seen it/him. 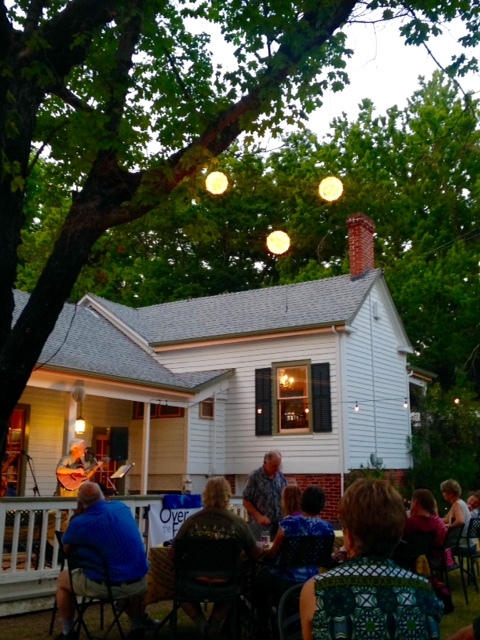 The tasting room is open seven days a week though and offers summer concerts with food in the backyard on Friday nights and those are reasons enough to visit even if you do not meet the ghost. Best Coffee and Snacks: Andrea’s Bakery in Amador City offers amazing bread, cookies, and cakes. At some point, I have to take a break from wine tasting, and this bakery provides everything I need for an afternoon tea/coffee break and snack. The bakery provides the bread that is offered for free at the tastings at Jeff Runquist Wines, which earns the winery the spot for best bread and cheese with your wine tasting. 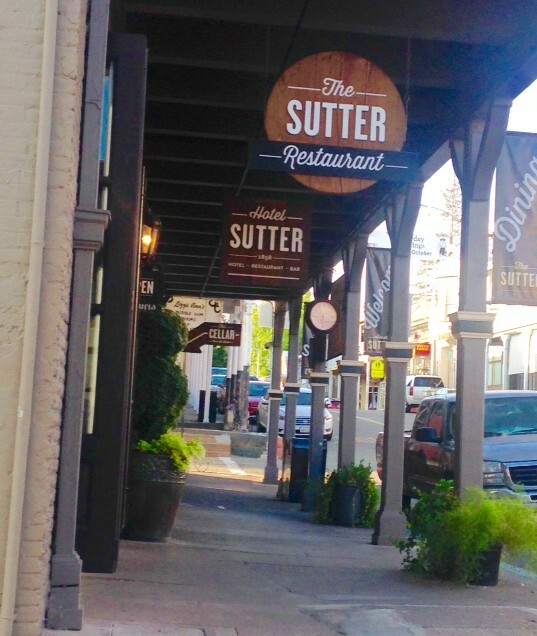 Best Lunch or Dinner Spot: Hotel Sutter in Plymouth offers a full bar with a hamburger menu as well as a sit-down restaurant for lunch and dinner. 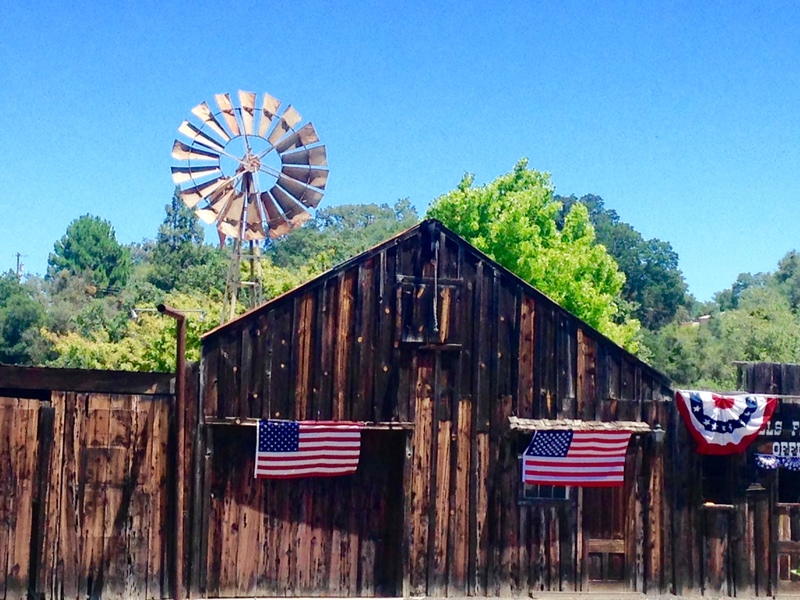 The large sliding glass doors to the main street are wide open during summer, and this is a great place to eat, drink, and watch people walking past in this little town that calls itself the jewel of the Mother Lode, Sutter Creek. 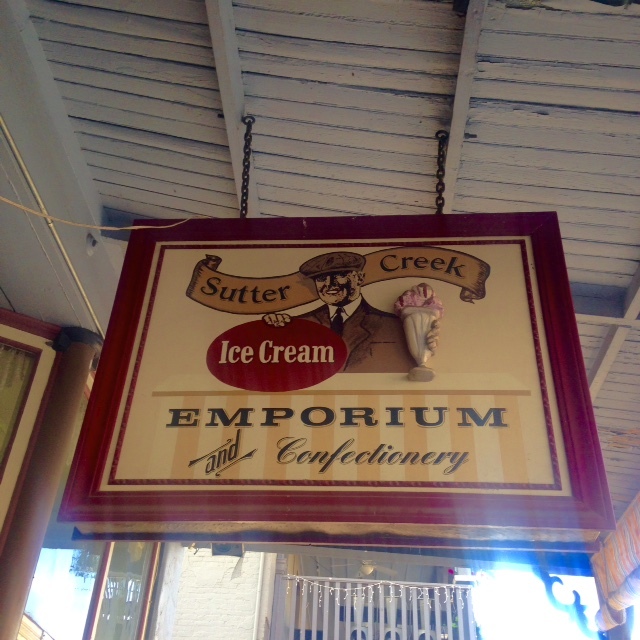 Best Ice Cream: Ice Cream Emporium in Sutter Creek is open till 8 pm even on a Sunday night and thus a great place to pick up a sweet treat for the summer concerts at Bella Grace on Friday nights. Personal favorite ice cream flavors are chocolate and peanut butter cup. Best Photo Opportunity with a Dog: Vino Noceto has a great Sangiovese but is even more memorable for its large bust of a dachshund. The statue was once outside a Doggie Diner but is now in the parking lot of this winery. If you are curious about how the winery ended up with the large head of a dog, read the story here. 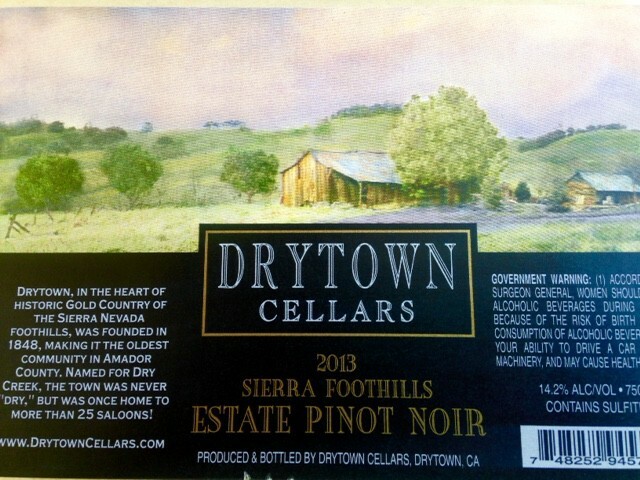 Most Attractive Wine Label Design: Drytown Cellars sports the winery’s century-old barn on one of my favorite labels; it is not too corny or too modern, but just right to celebrate Amador’s scenic views. Best Brewery: Amador Brewing Company in Plymouth offers a change from wine tasting. Amador County is definitely my favorite Northern-Californian wine country, but I still have only scratched the surface of other nearby wine regions such as Fairplay, Placer County, Clarksburg, and Lodi – so many wineries still to go before I feel I am qualified to create a best-of list for these regions (oh well, someone has to make this sacrifice I guess). 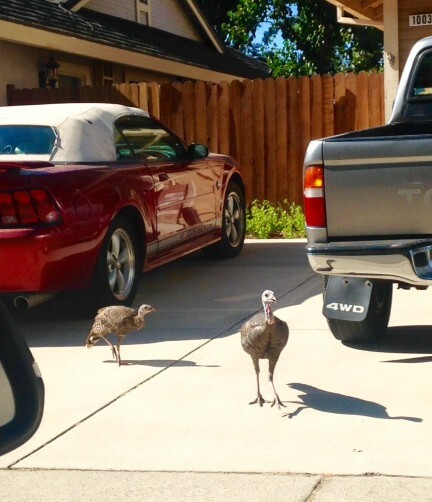 The drought in California in combination with urban sprawl has forced many wild animals to venture into suburban streets and backyards even in broad daylight. 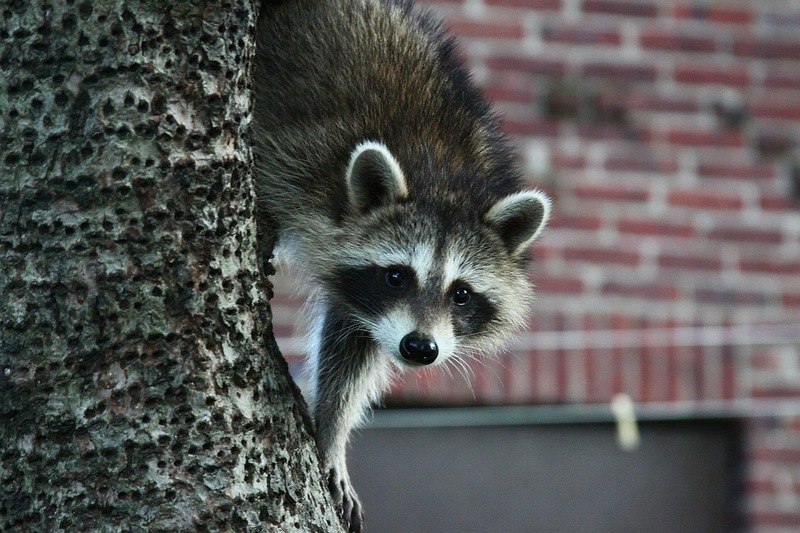 Recently, a neighbor found a rattlesnake in the flower bed of her front yard (I was wearing flipflops and thus was too chicken to get up close and take a picture), another neighbor chased a raccoon onto the roof of a shed, and at night we can hear coyote howl. 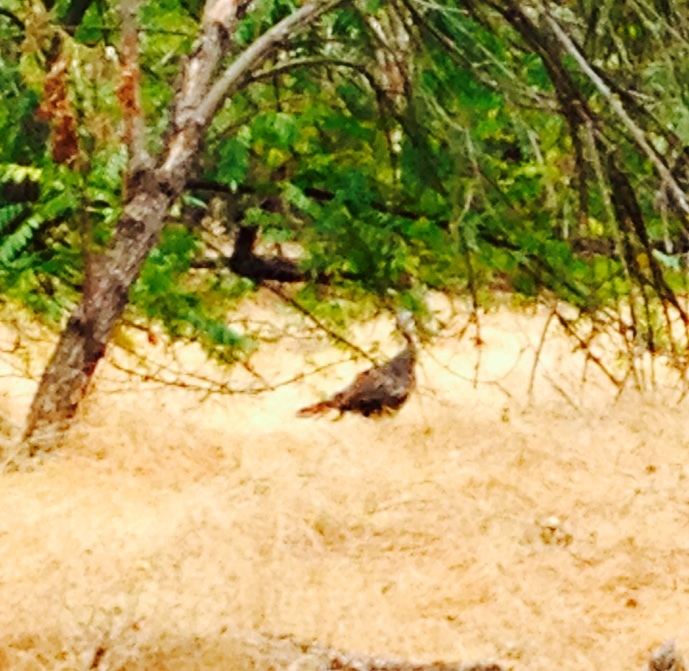 We have seen turkeys, deer, and mountain lions in the underbrush along the river behind our house, but now the turkeys have also decided to walk up and down our street in broad daylight. 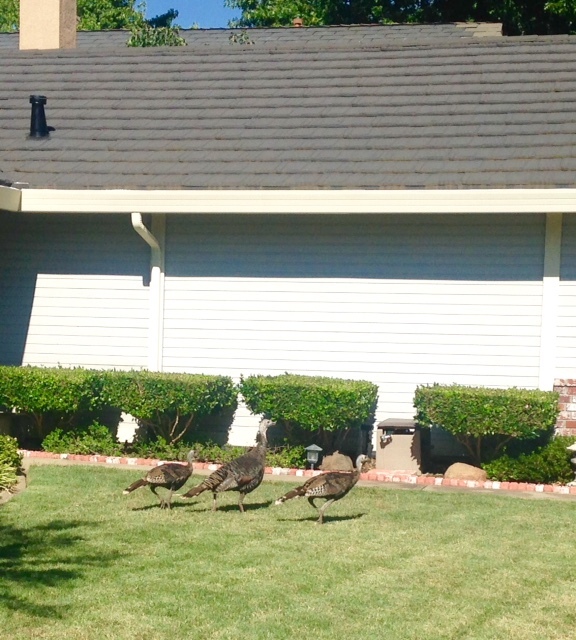 Last week, I came home to a flock of turkeys marching through our front yard and hanging out in the neighbor’s driveway. They did not mind me stopping the car to take some pictures, but when I got out and tried to get closer, they moved on without much alarm. They seemed to be used to city life as they stayed on the sidewalk or in front yards all the way down the street. I am always excited and entertained when I see wild animals that I am not used to from Europe, and that includes turkeys. 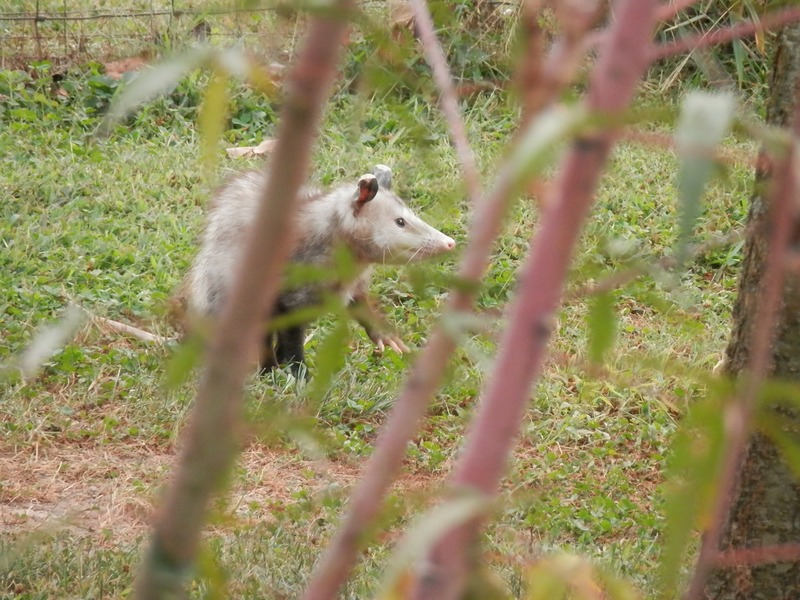 I usually have to smile when I smell a skunk (but I have been told that I would no longer find skunks amusing once I get sprayed by one, which has not happened yet), I and am happy to see that the neighborhood possum is still around and traveling atop the backyard privacy fence to avoid the dogs. 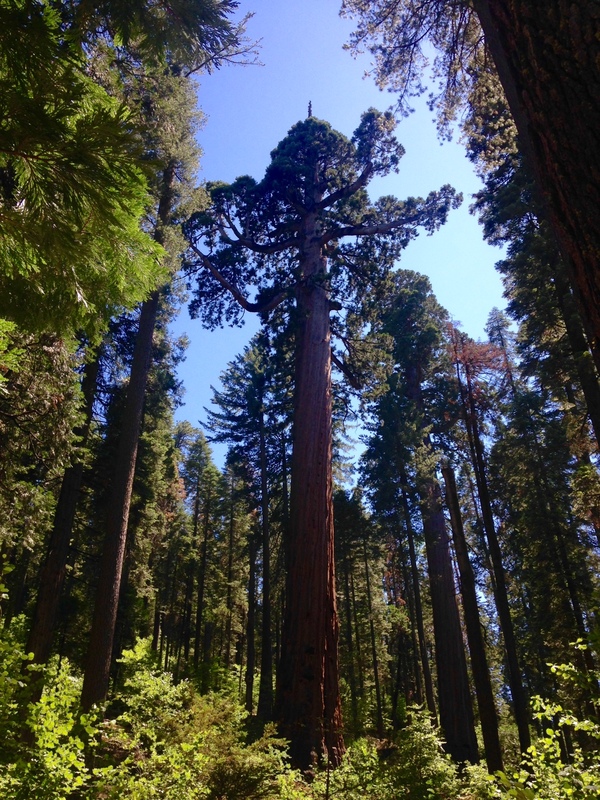 While the red, white, and blue of the American flag dominated the decorations around the 4th-of-July weekend, the color scheme in the Calaveras Big Trees State Park was dominated by the red of the bark of the sequoias, the green of the dark needles, and the blue of the clear California summer sky. 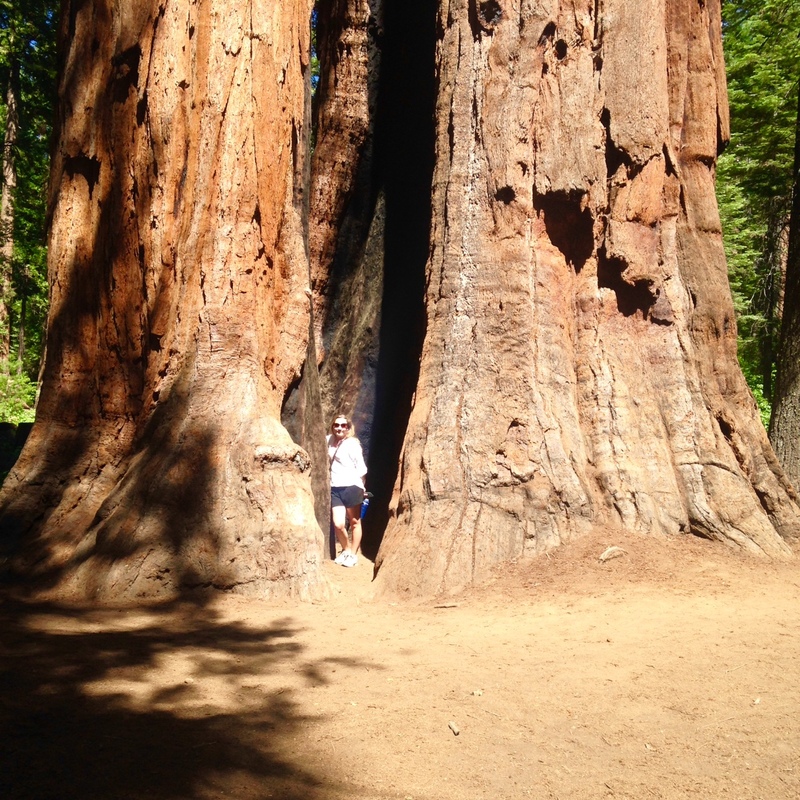 The state park is home to the giant sequoias (also called sierra redwoods), which are the largest living things ever to exist on the earth according to the state park brochure. The trees can reach a height of 325 feet, or 99 meters, and a diameter of 33 feet, or ten meters, and some of the trees in the park are believed to be 2,000 years old but they can live over 3,000 years. At first, the trees do not seem that large from the distance, but stand next to a tree, and the size becomes a lot more obvious. 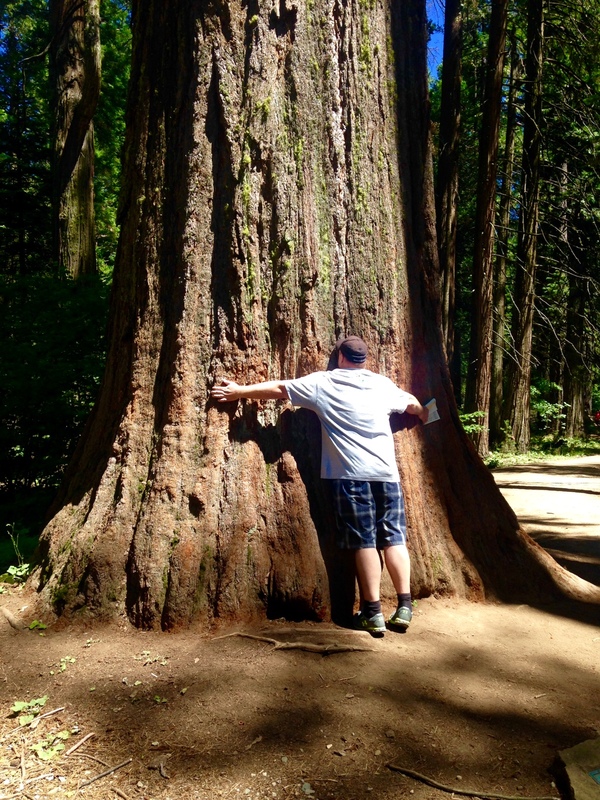 The grove of trees in this park was first noticed by Euro-Americans in 1852 by accident. Augustus Dowd chased a grizzly bear on a hunt and came across the large trees in an unfamiliar part of the forest. 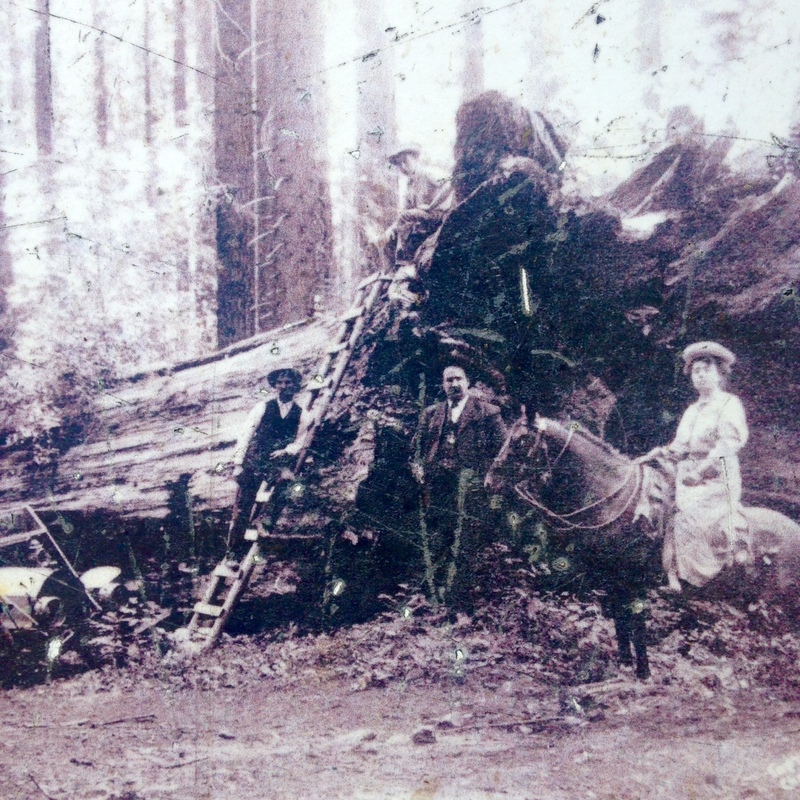 His stories about the size of the trees was at first ignored as a tall tale, and since it seemed too unbelievable, one of the large trees, the Discovery Tree, was cut down, which took 22 days, and shipped to San Francisco and New York to be put on display. Even then, many did not believe the size. The trees quickly became a popular setting for photographers, and most of the large trees have been given names: Empire State, the largest tree in the park, The Siamese Twins, Mother and Son, Father of the Forest, Abraham Lincoln, Mother of the Forest, The Three Graces. 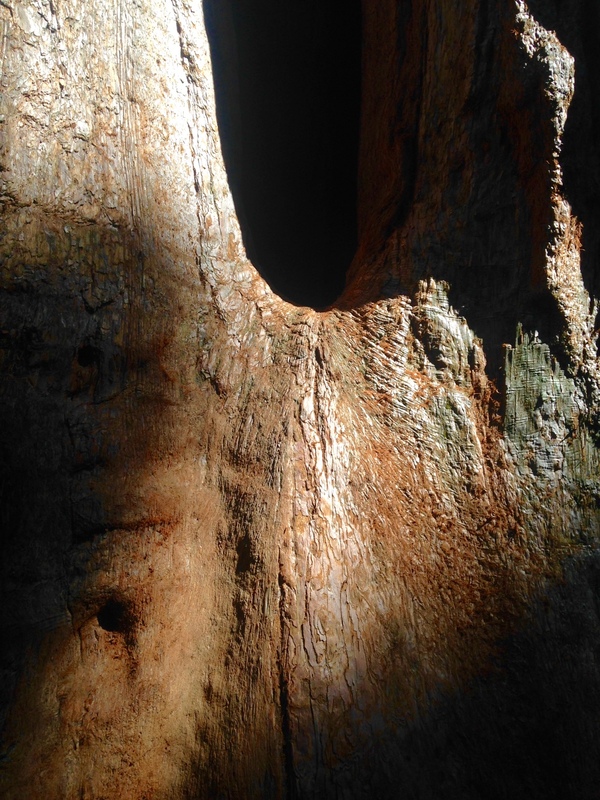 The tree called Father of the Forest fell long before the 19th century but is still a favorite for photos of visitors walking through its trunk or poking their heads through the holes where the branches grew. The trees are actually quite odd looking: spiral growth, a wide base that does not get much narrower and can still be 16 feet (5 meters) in diameter 48 feet (14 meters) above ground, branches only high above the ground, and fibrous bark. 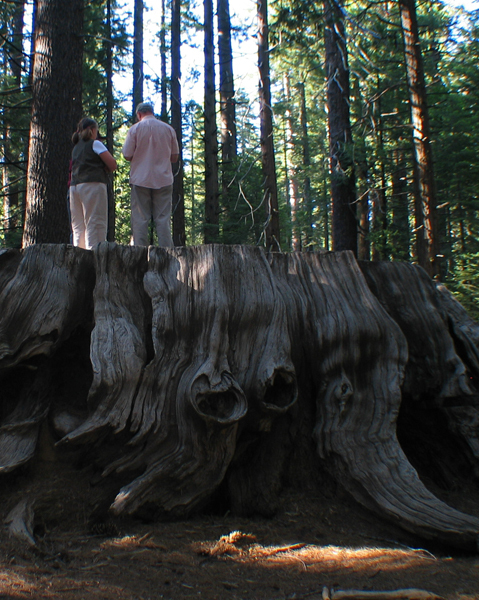 These traits are also the reason why the trees grow so old and live through forest fires: they are stable and other burning trees just roll off them when they fall against the sequoias. 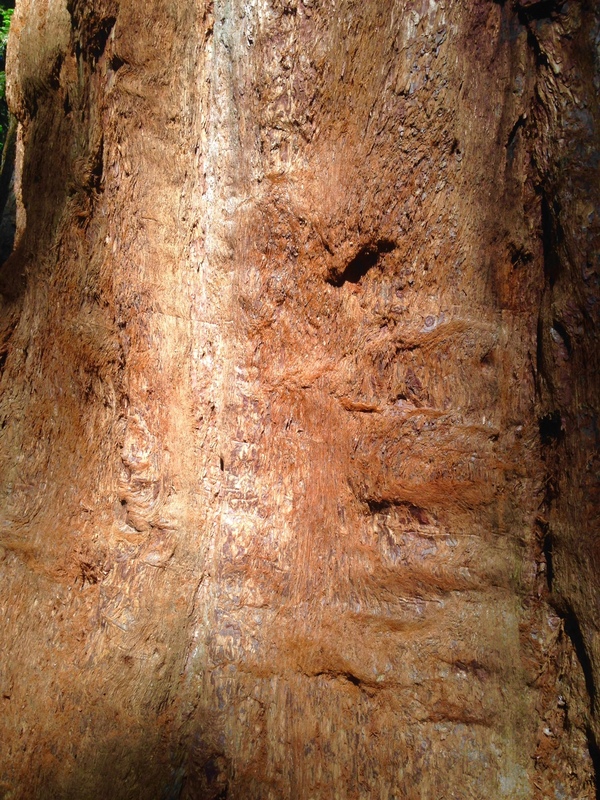 After the sheer size, the red bark is the most unusual detail about the trees; it does not feel like the bark of a “typical” tree – it is soft, and fibrous/hairy, and feels more like the skin of an animal. 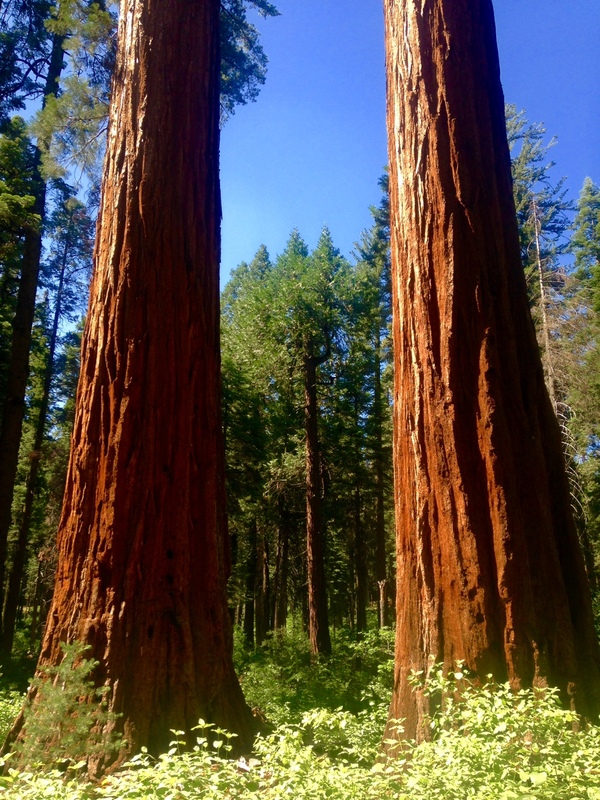 I have never touched an elephant, but I imagine its skin would feel like the bark of the sequoias. The bark does not burn easily because of the lack of flammable pitch and the high amounts of tannin. Nevertheless, many trees have fire scares that are now in the process as healing as the bark is growing over the wound. John Muir once declared that “Skinning this tree alive is as sensible a scheme as skinning our great men…,” and still the trees have been skinned and tunnels have been carved out. The Pioneer Cabin Tree is still alive despite the large cut. 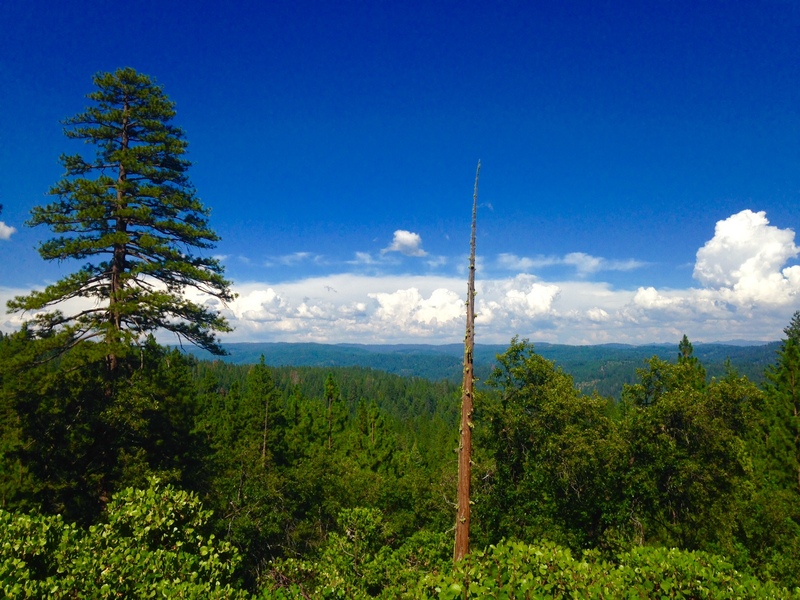 The state park is near Arnold on the western slope of the Sierra Nevada, about 2 hours southeast of Sacramento. The park’s most popular walk through the North Grove is easy and short but also very busy with visitors especially on the weekends. Some of the famous site such as the big stump and the tree tunnel were difficult to photograph without all the visitors, so I actually relied on the photos provided by the park. I would recommend visiting during the week in summer and/or add another walk or hike to your visit to enjoy the trees without the masses. I came across the above sticker at the regional county fair outside the rodeo arena. The stand promoted eating beef and most likely was associated with a beef association/council since the saying “Eat Beef – The West Wasn’t Won on Salad” is usually contributed to a beef association in the West. The saying for me does conjure images of weary cowboys driving cattle over miles of grass land and resting by a camp fire after a long day and then eating beef chilli. But the more I think I about the slogan, the less sense it makes: Who would ever claim that salad was at all involved in winning the West so why contradict this? Was the West really WON? And if yes, by whom? And winning goes hand in hand with losing – so who lost the West and do you really want to point out that someone lost it in this slogan? I came across this sign when I was walking the dogs along the river. Similar “off-limits” signs are supposed to keep bikes off horse trails and walking trails but they never work based on the amount of bike riders I see on these trails. 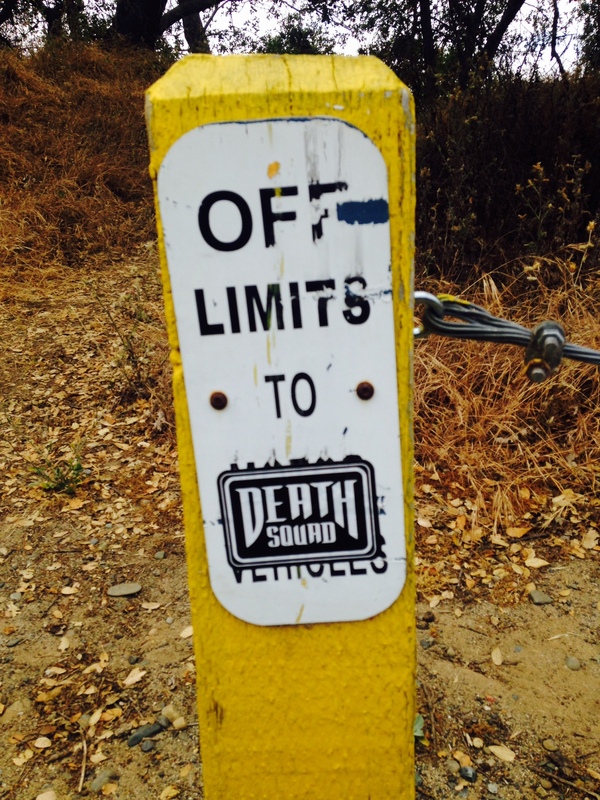 I am wondering whether death squads pay more attention to signs… I guess such a sign can’t hurt – just in case. If you are wondering, I think the sticker/label is associated with a skateboard fashion brand with this name. I have seen the above sign in the back of the truck window several times now in the neighborhood, and the sign intrigues me. 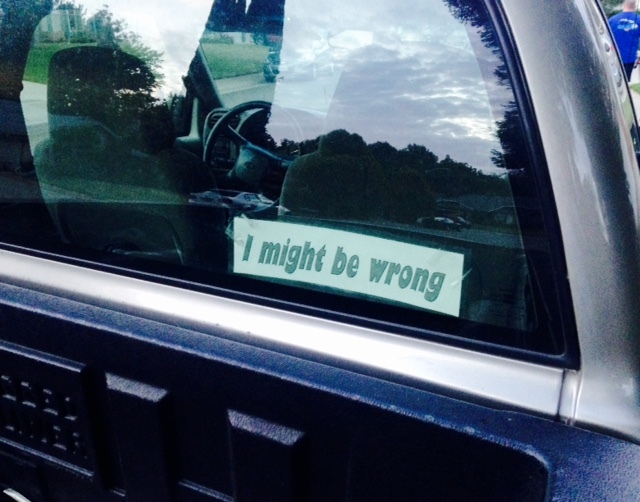 It is quite different from other bumper stickers I have seen. I wonder what the motivation is. I know it is the title of a Radiohead song, but even then why display it? It does not mention the band at all. “I might be wrong” – it sounds like an apology, admitting one’s oversight or lack of knowledge and actually feeling bad about that. It is a friendly sign to see when one is cut off in traffic by that truck or in some other way annoyed; at least the driver already admits that he/she might be wrong, so there is no reason to get annoyed. Every time I see the sign, I feel I am missing something and I am hoping to run into the owner/driver to learn more about the sign. I always know May is around the corner when the oleander bushes start to bloom in Northern California, and it is one of the prettiest views in the Central Valley. 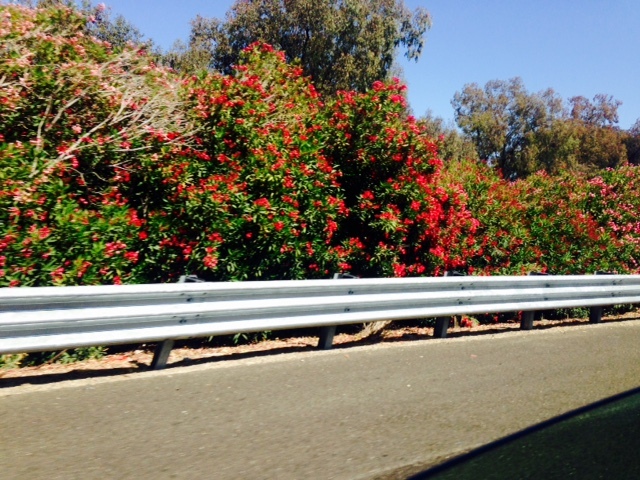 I fell in love with the bushes – yes, I feel that strongly about them – on my first trip to Spain as a teenager. Leaving cold and rainy Austria behind, I woke up after a night of riding in the car to the Spanish highways lined by blooming oleander bushes. And even now, the sight of the blooms makes me smile and gush. Ask my husband about how often I can point out how pretty the oleanders are on any of our drives from May to August, and he will tell you that it is definitely too often. 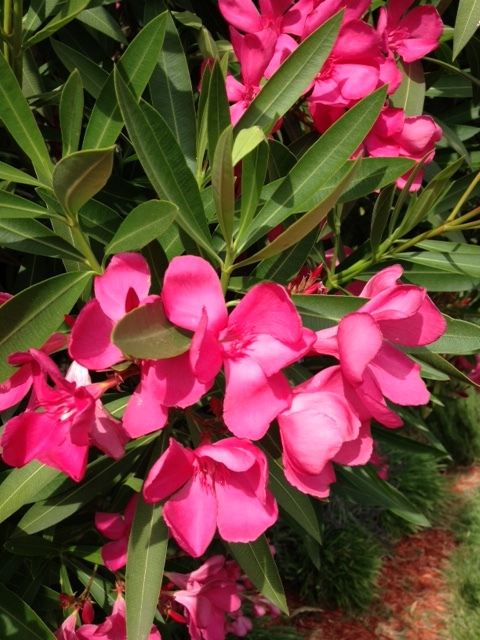 After the trip to Spain, I remember bringing cuttings back to Austria and schlepping the large containers of oleander bushes from the garage to the patio in summer and back to the garage in fall since they would not survive the hard frost in Austria. They needed to be babied like the exotic plants they were. 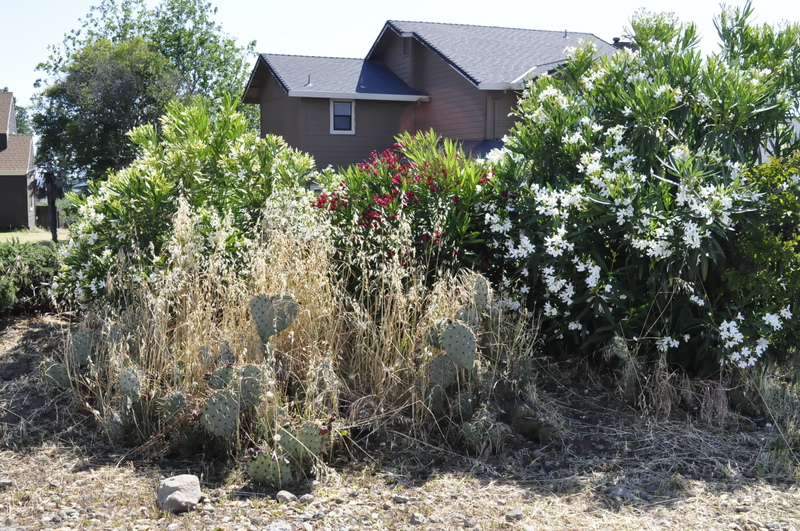 Here in California, they are pretty much weeds and more or less nothing can kill them; they are drought tolerant once established and can be cut back to nearly the roots and they will still come back with new growth. In the Central Valley of California, long stretches of highway are lined in the median by oleander bushes – lush green during winter and exploding color displays from early summer through fall. Once May starts, I look forward to driving specific stretches of highways because I know about the riotous display of blooms; “they’re going nuts!” It might be 100 degrees outside and I might be stuck in a traffic jam and barely moving but that just gives me more time to admire the color display. 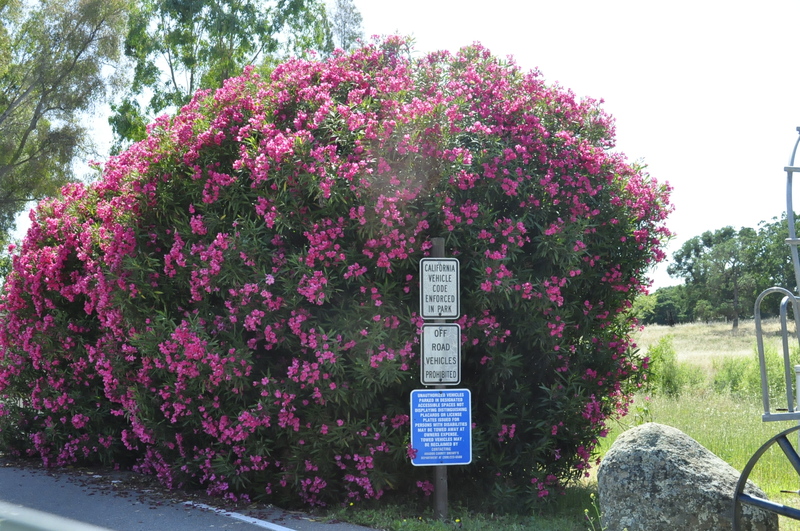 If the British Romantics would have visited California, I believe they would have composed odes to this humble bush that shakes in the draft of large semis rumbling by. 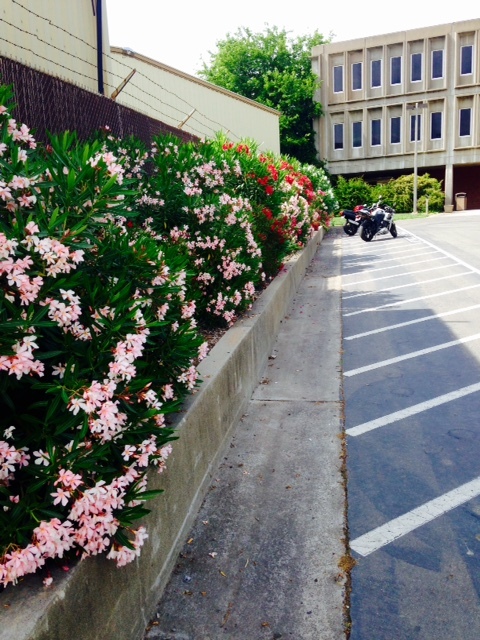 Oleanders are poisonous, which does not make them very popular with parents of small children but it also makes them deer resistant. And it has created the urban myth that a whole family supposedly was poisoned by grilling hotdogs on oleander sticks over a camp fire. 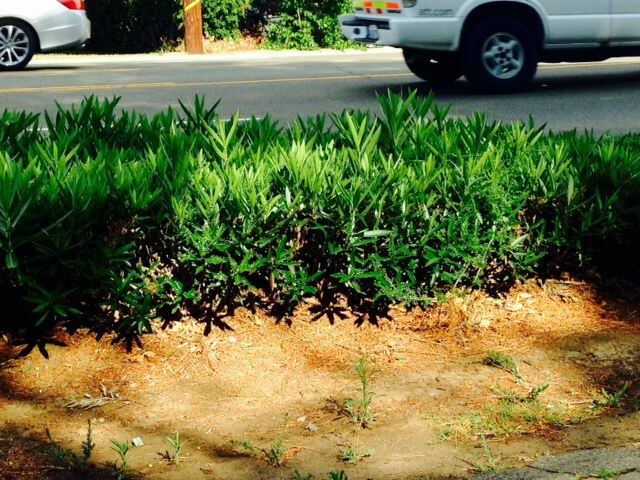 I was warned by my neighbor when I planted our first oleander plant in the front yard. After the weather and the wild coast of Northern California on Highway 1, oleanders are definitely one of the Golden State’s best traits.